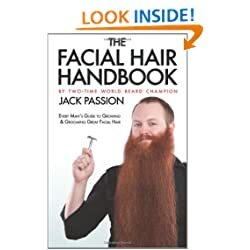 The Facial Hair Handbook I was down and out, it felt as if my luck was running dry, and everything I liked about the world had left me. Sleepless night after sleepless night I waited for something to come my way. It was then that I decided to quit my job and travel the earth in search of an answer. I was on my way to the airport for a morning flight to Chi town as it dawned on me: I should get a new look if I were to become a traveler. I had barely made it past the security gate when I found the book that would change my life. I quickly refunded my ticket and went home to read this book.